Cold enough for everyone outside? While we’re all trying to stay toasty warm inside, there are lots of animals living their everyday lives outside! 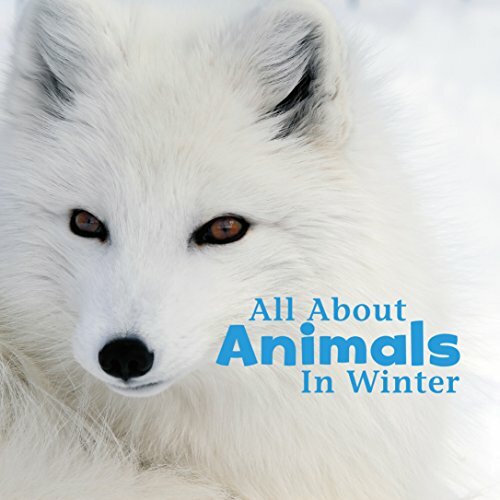 Share the marvel of winter with your kiddos with these animals in winter books for kids! They’re simply delightful. In addition to offering a reading list of animals in winter books that kids will love and learn from, I’ve teamed up with some fellow bloggers to offer you homeschool and in-class animals in winter unit study resources! You can find these fun books for kids at your local library or purchase through the affiliate links provided for your convenience. 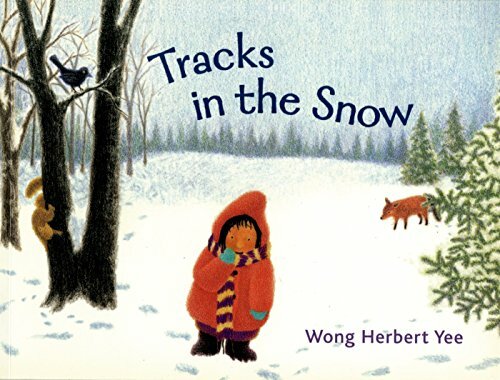 Tracks in the Snow: A little girl follows tracks outside her window after a fresh snowfall, only to realize that the tracks in the snow are her own from the day before―and that they lead her home. Along the way, we the readers spot all of the animals out busy living their lives in the snow while the girl continues on her journey. This diminutive and sweet picture book is as cozy as a cup of hot chocolate and was one of my boys’ all time favorites when they were little. 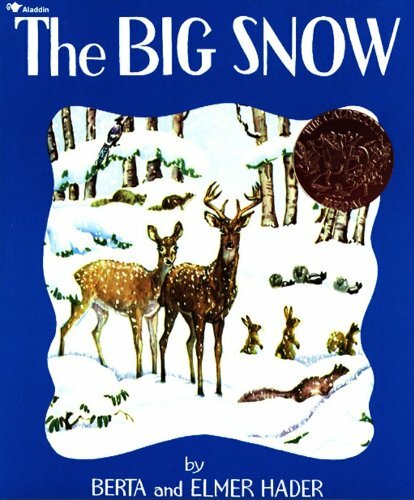 The Big Snow: The woodland animals were all getting ready for the winter. Geese flew south, rabbits and deer grew thick warm coats, and the raccoons and chipmunks lay down for a long winter nap. Come Christmastime, the wise owls were the first to see the rainbow around the moon. It was a sure sign that the big snow was on its way. 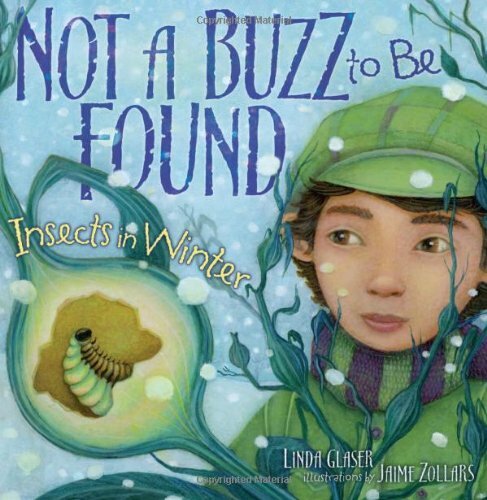 Animals in Winter (Let’s-Read-and-Find-Out Science): Have you ever seen a butterfly in the snow? Probably not. Butterflies can’t survive cold weather, so when winter comes, many butterflies fly to warmer places. They migrate. Woodchucks don’t like cold weather either but they don’t migrate; they hibernate. Woodchucks sleep in their dens all winter long. 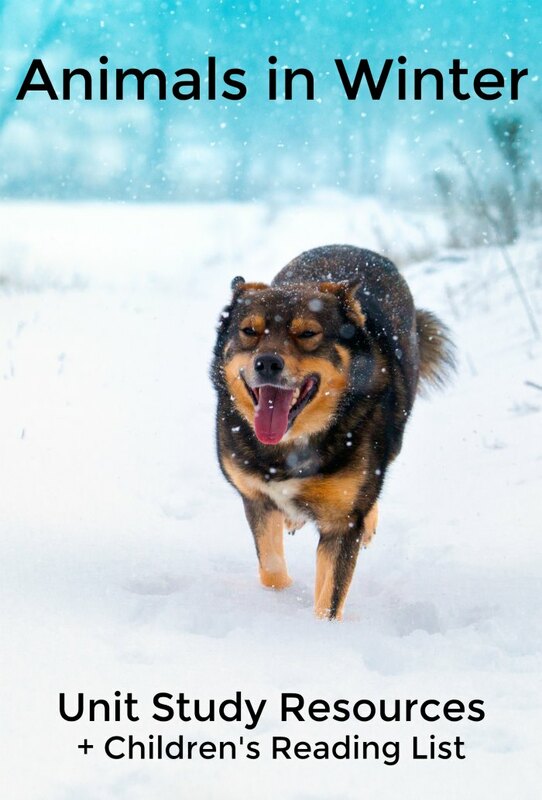 Read and find out how other animals cope with winter’s worst weather. Over and Under the Snow: Over the snow, the world is hushed and white. But under the snow lies a secret world of squirrels and snow hares, bears and bullfrogs, and many other animals making their winter home under the snow. 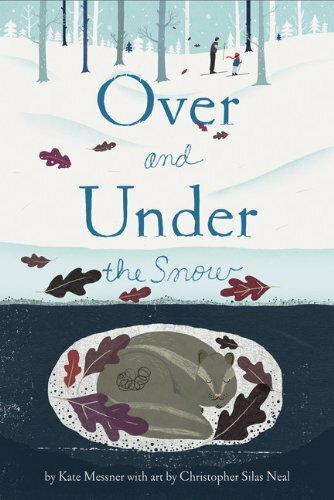 This beloved nonfiction picture book exploring the subnivean zone reveals the tunnels and caves formed beneath the snow but over the ground, where many kinds of animals live through the winter, safe and warm, awake and busy, but hidden beneath the snow. When It Starts to Snow: What if it starts to snow. What do you do? 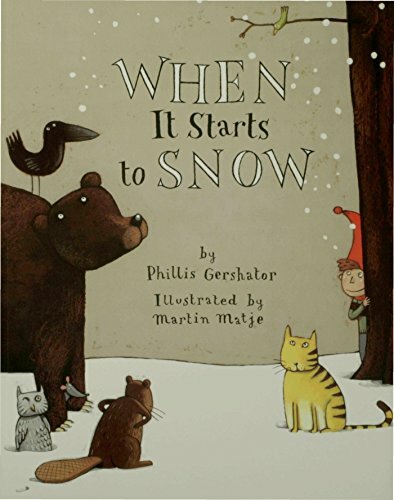 Where do you go?” So begins this winter story, as each animal–from a mouse to a bear–tells us what it will do and where it will go when the snow starts to fall. Each takes cover in its own special home, except for one. Can you guess who? All About Animals in Winter (Celebrate Winter): Some animals’ fur turns white. Other animals hibernate. Winter is here! Celebrate the season with lovely photos and a simple design that beautifully support early readers. 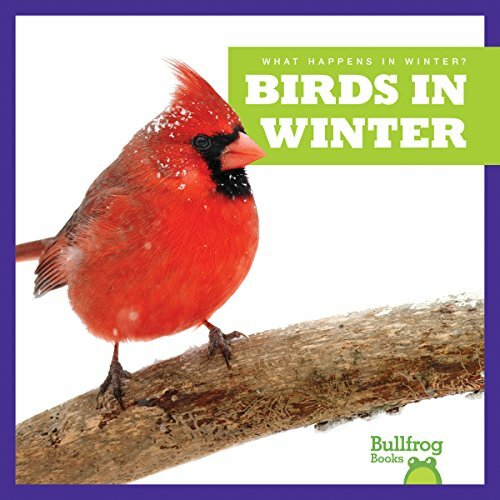 Birds in Winter (Bullfrog Books: What Happens in Winter?) 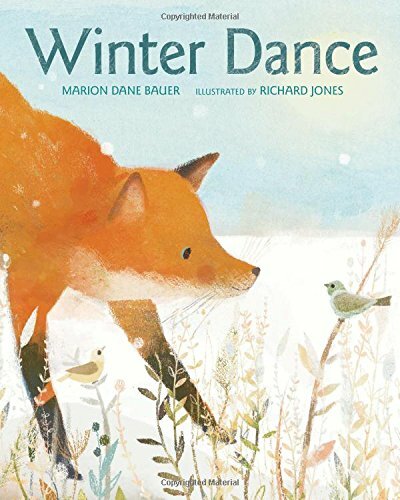 In Birds in Winter, beginning readers will learn how birds migrate or adapt to survive the winter months. Vibrant, full-color photos and carefully leveled text engage early readers as they discover how birds handle the chilly weather conditions. 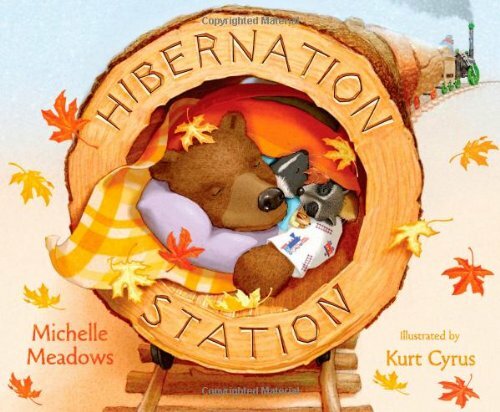 Hibernation Station: Everybody at the station! It’s time for winter hibernation! The sweet rhyming text of this book will calm even the most rambunctious kids and have them dreaming about what it’s like to hibernate. 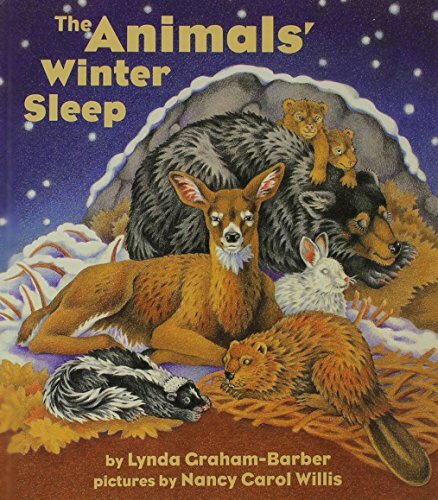 Young readers will be soothed and delighted as this story introduces them to different types of hibernating animals. The creatures on the train are preparing to snuggle into sleep, although with a passenger list that includes chipmunks, bears, snakes, hedgehogs, groundhogs, frogs, turtles, mice, bats, and more, there’s a lot of noise! Will the hibernating critters ever get to sleep? Take a trip to Hibernation Station to find out! The Animals’ Winter Sleep: Taking nonfiction into the realm of bedtime read-to-me stories, this rich, melodic text paired with detailed color pencil illustrations describes how 13 North American animal species—such as black bear, ermine, pileated woodpecker, porcupine, river otter, and ruffed grouse—survive harsh winter snows snug inside their dens, nests, burrows, and lodges. Additional information, geared to very young children, includes animal winter survival adaptations, such as the foods they eat, nesting materials, camouflage, and predator survival along with a series of questions that encourage children to look back at the illustrations for clues. A line art diagram of the final panorama illustration that identifies the location of all 13 animal species is also included. Winter Dance: Snow is coming, and it’s time to get ready! The squirrel gathers nuts, the geese soar south, and the snowshoe hare puts on its new white coat. But what should the fox do? Each animal advises the fox that its own plan is best, but the fox thinks otherwise—yet it’s not until he meets a golden-eyed friend that he finds the perfect way to celebrate the snowfall. Not a Buzz to Be Found: Insects in Winter: Discover how familiar insects survive the cold winter months and ensure the safety of the next generation. 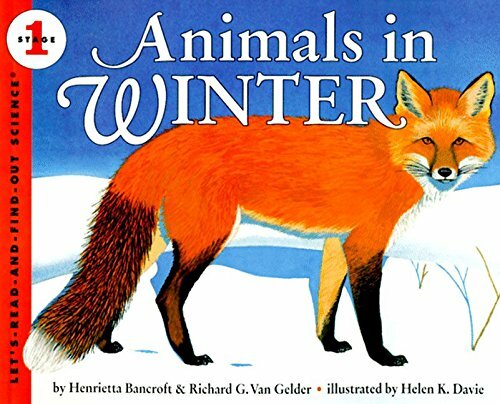 Like these animals in winter books? Find even more engaging book lists for kids with more than 100 book-themed reading lists! In addition to offering a reading list of animals in winter books that kids will love and learn from, I’ve teamed up with some fellow bloggers to offer you homeschool and in-class animals in winter unit study resources! This unit study contains affiliate links. These are some of our favorite stories! We love Over and Under, Hibernation Station and Not a Buzz to Be found. Pinned.